I find that when I think ahead about my scrapbooking I get the pictures I need for great layouts! 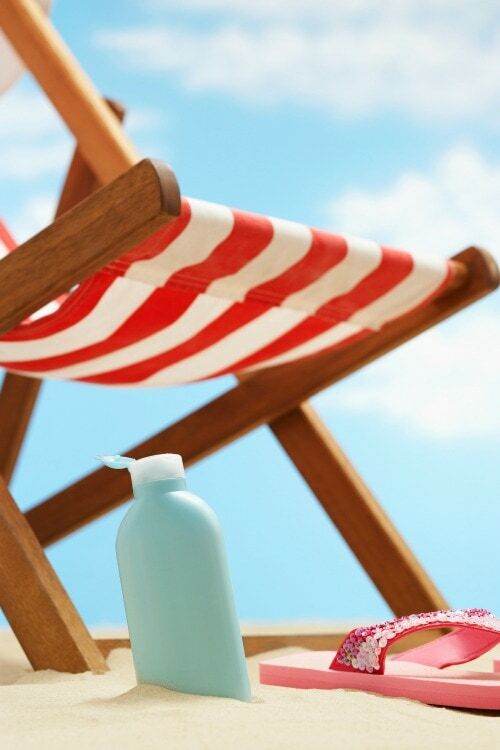 Let's think ahead to summer….it is right around the corner! I have compiled a list of some things and activities that would make fun layouts. These 30 summer scrapbooking ideas are perfect to get the ball rolling for some great layouts. If I have some ideas in my mind than when I see my toddler looking adorable in her sunglasses…I will remember to snap a few pictures for a summer sunglasses layout! One year one of my girls was having a grand time eating watermelon with her grandpa. I got some great pictures and a wonderful layout was created! But…if I don't plan ahead…I will regret shots I didn't take because I wasn't thinking about the potential layouts! Some of these ideas may seem like everyday things….popsicles…sidewalk chalk….but I think it is fun and important to capture the everyday parts of our lives in scrapbooks! Sure..we all want to see the big moments…holidays, birthdays, etc….but some of my favorite memories are the everyday parts of my childhood! 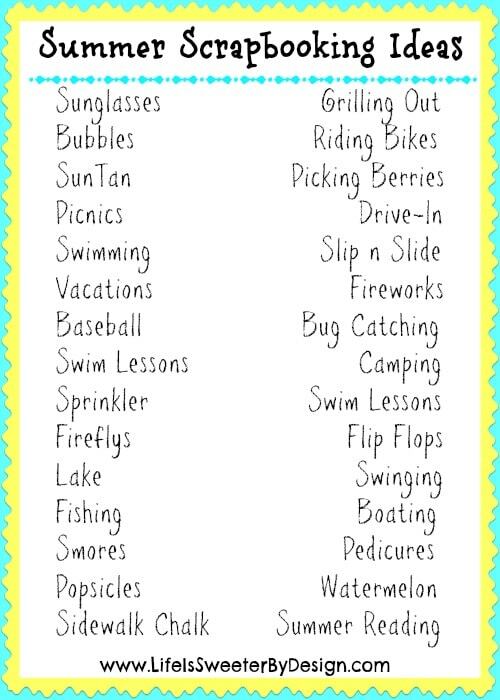 If you plan ahead you may be able to work these into your summer plans. Don't forget the camera! Here are some cute summer papers to get you started. These get me excited to scrapbook bright and sunny pictures! I absolutely love these summer chipboard pages and stickers! The colors really draw me in. What are your favorite Summer Scrapbooking Ideas? What special plans do you have for the summer? Be sure to check out my HUGE list of scrapbooking monthly kit clubs and my list of card making kit clubs!! You can get so much done with kits. These are really great ideas for scrapbooking. Thanks for sharing! Wonderful post! I would love it if you would share it at our WIW Linky Party! I hope you can join us! Thanks Paula…will check it out! I love doing both types of scrapbooking also! Thanks for throwing a great party! !